1. Samarasimha Reddy, a Balakrishna-starrer, the biggest hit in telugu cinema at the time, which released just few months prior, grossed ₹25cr (distributor share of ₹15cr apprx). 4. 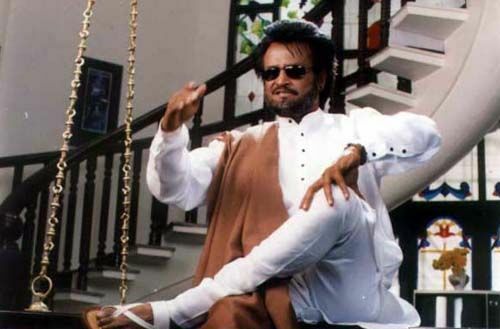 Padayappa’s tamil version worldwide gross (₹46cr) was only broken 6 years later by the Rajinikanth-comeback blockbuster Chandramukhi. 5. It took 6 years for another south film to touch this ₹50cr mark, Chandramukhi (2005: ₹87cr worldwide – tamil & telugu dub), While Indra(2002) grossed (₹46cr gross & ₹29cr-₹30cr share from telugu, tamil & hindi dub version).